Forty years ago Dr. Roger Williams, a University of Texas biochemist, published this groundbreaking work, which is only now coming to be accepted and understood by the medical community. 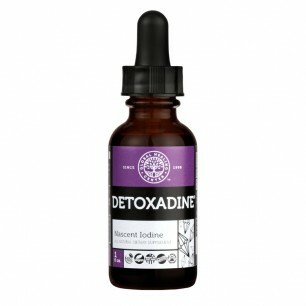 Until now, generalized dietary recommendations like the RDAs were the norm. 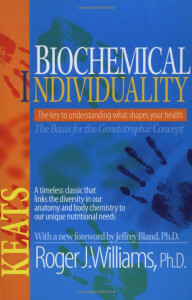 This timeless classic links our biological diversity with individual nutritional needs and shows you how to determine and meet those needs for optimal well-being. Dr. Williams conducted his own studies, as well as drawing on the work of others, to show that each of us is different. One chapter describes differences in anatomy, outlining how even such vital organs as hearts and stomachs vary in size, shape, and physical location from person to person. The chapter on pharmacology explains how, even though the chemistry of each is known, drugs effect people in different ways, due to differences in body chemistry. That’s why what works for one person doesn’t necessarily work for another. His observations led Dr. Williams to theorize that each individual also had unique nutritional needs, and that determining and meeting those needs would help combat disease. Fats That Heal, Fats That Kill. Get the skinny on fats! “Fats that Heal-Fats that Kill” brings you the most current research on common and less well-known oils with therapeutic potential, including flaxseed oil, olive oil, fish oil, evening primrose oil and more. Author Udo Erasmus also exposes the manufacturing processes that turn healing fats into killing fats, explains the effects of these damaging fats on human health, and furnishes information that enables you to choose health-promoting oils. 456 pages. No Treason The Constitution of No Authority. 2010 Reprint of the original 1870 edition. Paperback 55pp. Lysander Spooner (January 19, 1808 – May 14, 1887) was an American anarchist, entrepreneur, political philosopher, abolitionist, supporter of the labor movement, and legal theorist of the nineteenth century. 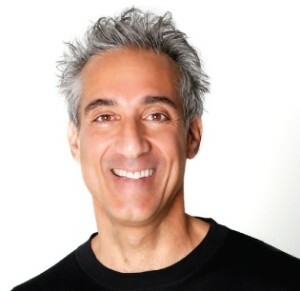 He is also known for competing with the U.S. Post Office with his American Letter Mail Company, which was forced out of business by the United States government. He has been identified by some contemporary writers as an anarcho-capitalist, while other writers and activists are convinced by his advocacy of self-employment over working for an employer for wages, that he was an anti-capitalist or a socialist, notwithstanding his support for private ownership of the means of production and a free-market economy. No Treason has it origins in The Union government’s actions during the Civil War. In response, Spooner published one of his most famous political tracts, No Treason. In this lengthy essay, Spooner argued that the Constitution was a contract of government which had been irreparably violated during the war and was thus void. Furthermore, since the government now existing under the Constitution pursued coercive policies that were contrary to the Natural Law and to the consent of the governed, it had been demonstrated that document was unable to adequately stop many abuses against liberty or to prevent tyranny from taking hold. Spooner bolstered his argument by noting that the Federal government, as established by a legal contract, could not legally bind all persons living in the nation since none had ever signed their names or given their consent to it – that consent had always been assumed, which fails the most basic burdens of proof for a valid contract in the courtroom. Spooner widely circulated the No Treason pamphlets, which also contained a legal defense against the crime of treason itself intended for former Confederate soldiers (hence the name of the pamphlet, arguing that “no treason” had been committed in the war by the south). These excerpts were published in DeBow’s Review and some other well known southern periodicals of the time. Lysander Spooner was a 19th century entreprenuer, scholar, radical abolitionist, and principled believer in natural law and liberty. 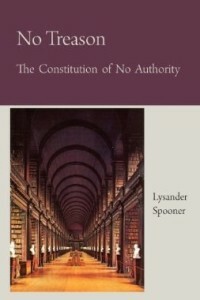 Lysander Spooner came form the flinty farmland of rural New England. He was born January 19, 1808, on his father’s farm near Athol, Massachusetts, the second child and second son in a family of six sons and three daughters. Before opening the American Mail Company, he sent a personal letter informing the Postmaster General (January 11, 1844), that he proposed “soon to establish a letter mail [company] from Boston to Baltimore. I shall myself remain in this city, where I shall be ready at any time to answer to any suit…” Accompanying the letter was a copy of Spooner’s pamphlet, The Unconstitutionality of the Laws of Congress Prohibiting Private Mails. When his company began business on January 23, Spooner openly advertised in all the major newspapers, soliciting business. The American Letter Mail Company printed its own stamps, hired agents, and was soon conducting a busy trade. Hoping to drive Spooner out of business without raising any constitutional questions, the Postmaster General resorted to some extra-legal measures. Under a barrage of harassing legal actions, the company could not survive; for all practical purposes it had ceased to exist by July 1844. After his post office venture failed, Lysander Spooner returned to the family farm in Athol. Spooner had a clear notion of “the principles of natural equity.” Although lacking formal ties before 1870 with other American anarchists, Spooner knew many of them well. The key question for an anarchist is how to combine complete individual freedom with some form of effective social co-operation. Spooner answered that community service and other social action could be realized voluntarily. He argued that “under the principle of individual consent, the little government that mankind need, is not only practicable, but natural and easy…” Spooner died “at one o’clock in the afternoon of Saturday, May 14, 1887… surrounded by trunks and chests bursting with the books, manuscripts, and pamphlets which he had gathered in his active pamphleteer’s warfare over half a century long.